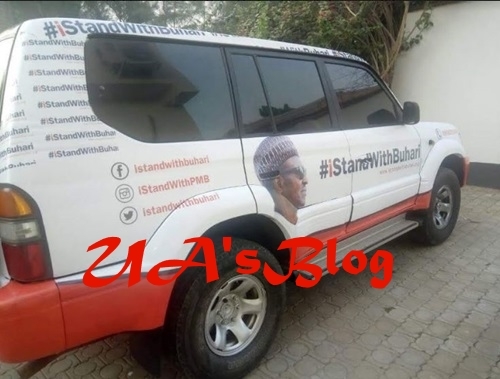 Ahead of the 2019 general elections, supporters of President Muhamamdu Buhari, has kicked-off the campaign to bring him back as billboards and cars have been spotted in Abuja. 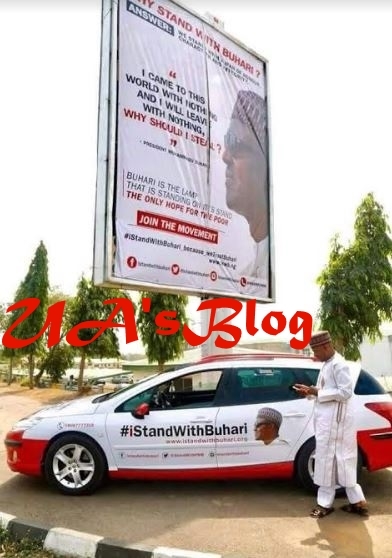 New billboards and cars with the inscription "I stand with Buhari " have once again, seen mounted in major areas in Abuja, the nation's federal capital. The #IStandWithBuhari group was the first to kick off campaign supporting the administration of President Muhammadu Buhari, but Garba Shehu, SA Media to the President, had earlier announced that they should halt their campaign for President Buhari who has not officially declared for his second term. 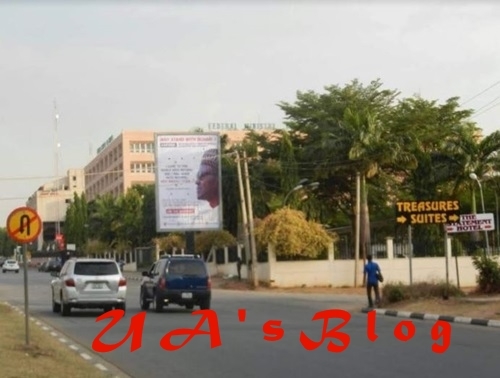 The group's billboards are now springing up all over Abuja and some reports claim that they are planning to host all their members from all the local governments in Nigeria after which they would launch mass support for General Buhari.